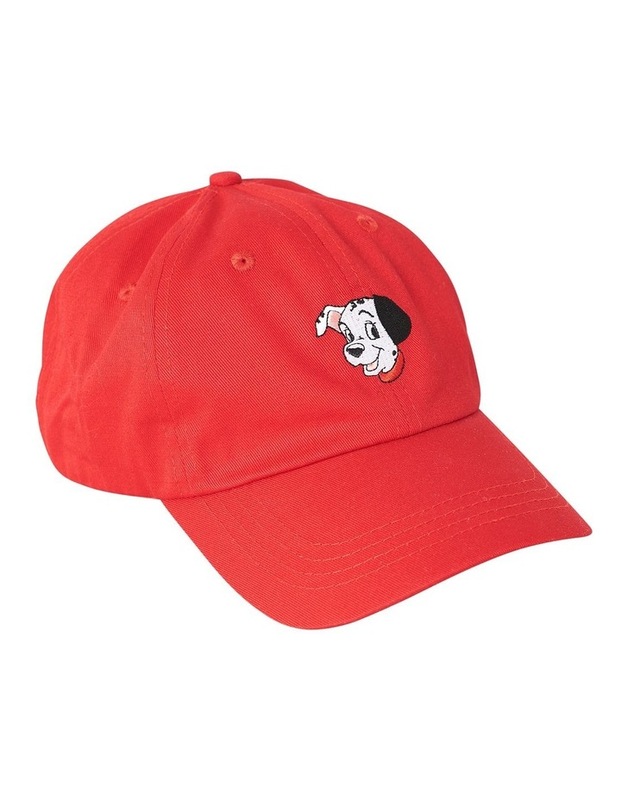 Nana judy lucky cotton cap in red with disney 101 dalmatians embroideryart. Nana judy x 101 dalmatiansis a truly unique collaboration with the walt disney company; a must-have 101dalmatians-inspired collection. The highly anticipatedcollaboration brings to life nana judys meaning behind the name with theiconic disney story 101 dalmatians. The collection takes on a special meaningas the brand nana judy was named after the creative directors greatgrandmothers dalmatian, aptly named judy.